At Primrose Hill we offer a broad and balanced curriculum that is enriched in a number of ways to excite our children’s appetite for learning. 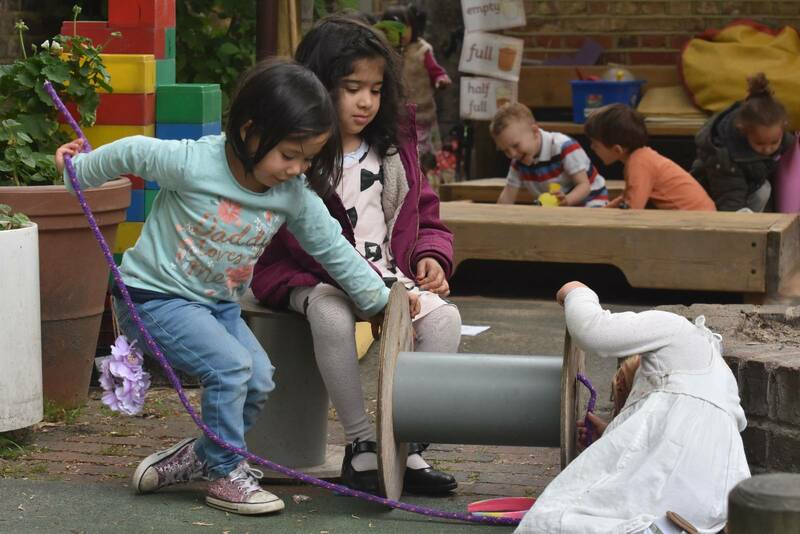 Our school is situated on the bank of the Regents Canal which provides easy access to Regents Park and Hampstead Heath, where we hold our Sports Day, and the centre of Camden, where our children enjoy events at the Roundhouse. Travelling by bus and tube, we ensure we make the most of learning opportunities afforded by London’s many museums, galleries and places of interest – The Golden Hind, British Museum, Science Museum, Jewish Museum, Museum of Childhood etc. We also provide opportunities for our children to experience learning further afield, for example travelling down to Broadstairs in Year 2 to visit the seaside, Celtic Harmony in Hertfordshire in Y3, to the Mill Residential where the Y5 children camp under the starts and to Osmington Bay in Dorset in Year 6, to enjoy the fabulous range of activities on offer at PGL’s outdoor education centre. We have an exciting range of clubs for our children to participate in that are run by staff and outside providers. They include sport, music, art, drama, literature, science, computer and language clubs. These clubs take place before and after school and during the lunch-hour. Clubs was a priority for us last year so please continue to see our Clubs Section as it develops. Our school has a links with a number of London organisations and institutions. These links mean that our children benefit from opportunities to enjoy and create pieces alongside talented musicians and composers. Through further links our children create and learn with resident artists in our dedicated art space, explore their own and others’ stories with experienced actors in drama workshops and are put through their paces in sessions coached by professional sports people. As well as making the most of the parks and places that make up our local area we have many local community members visiting our school and contributing to our children’s education. Whether it be older community members sharing their memories of living through the blitz, fire fighters from the neighbourhood station giving safety tips or a zoo keeper and his charges from the local zoo coming in to meet the children, we promote and value these relationships. Our big plan is to obtain a canalside classroom which we will use as a Science and STEM resource.